A large white and blue truck pulls up outside a stadium in central Japan and slowly expands into a place of worship. "As an open and hospitable country, we want to share the idea of 'omotenashi' (Japanese hospitality) with Muslim people," he said in a recent interview. The back of the modified 25-ton truck flipped up to reveal an entrance and then the side slid out, doubling the width of the truck. The 48-square-meter (515-square-foot) room can accommodate 50 people. "The Mobile Mosque is very important to Muslim people such as Japanese people or tourists, Muslim tourists who visit Japan," said 14-year-old Nur Azizah. "I want to show my friends." 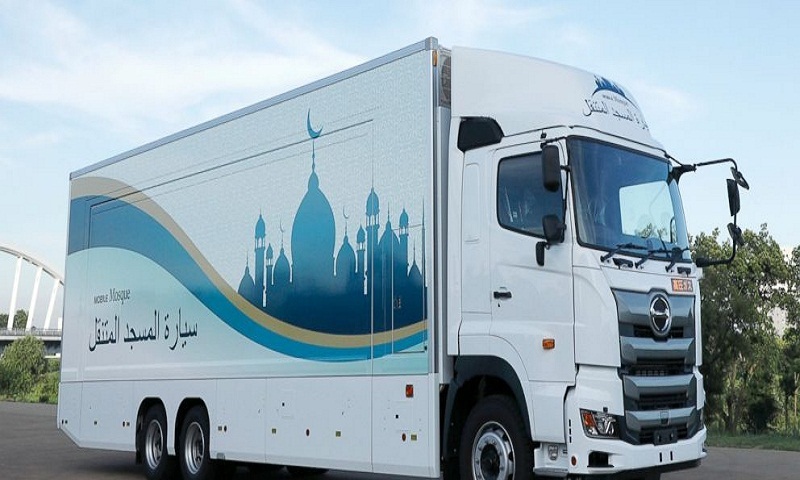 Tatsuya Sakaguchi, a Japanese guest, expressed hope that the Mobile Mosque would help open people's minds worldwide. "Looking in from the outside at the people in the mosque, they looked very happy," said Sakaguchi, the representative director of an Osaka retail company. "Going forward, I would be so happy if people from Indonesia, Malaysia, Africa, the Middle East and, for example, refugees who are coming from Syria are able to use the mosque as a tool to promote world peace," he said.